Welcome to the first installment of what will probably be a very-ongoing series: Shakespearean Character Spotlight! Each week (or, more accurately, whenever I happen to run out of other material) I will be randomly selecting one of Shakespeare's speaking characters, regardless of part size and importance, and presenting a profile of him or her. 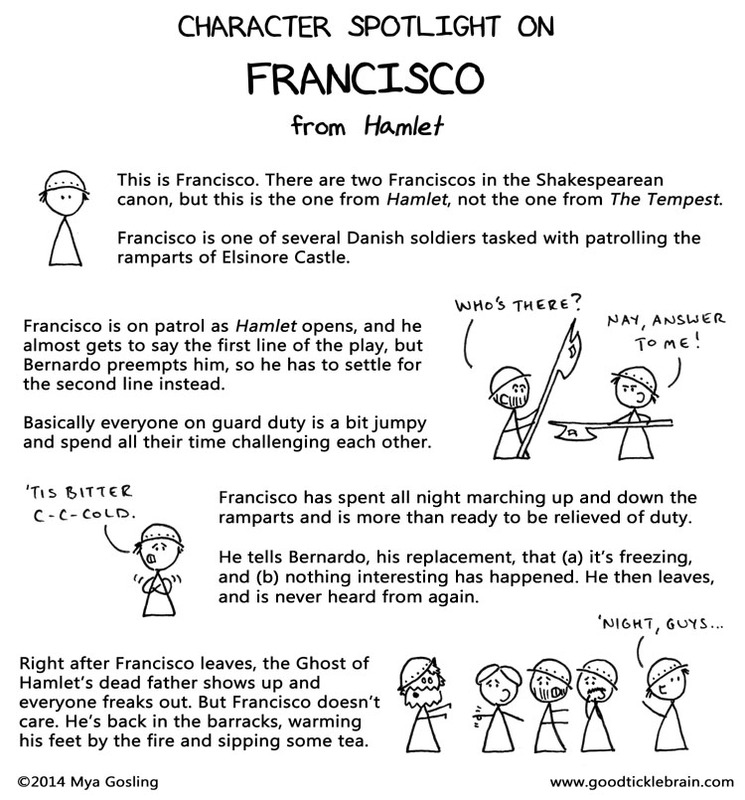 Today's character is.... *runs random number generator* ...Francisco from Hamlet! And that, ladies and gentlemen, is how Francisco manages to miss almost all the action of Hamlet, and thus is one of the few characters who is probably still alive at the end of the play. Way to go, Francisco! One down, 1223 to go!